How cool is this? finally meet someone you want to spend the rest of your life with and they happen to be a gamer too? It is dangerous to go alone, perhaps a partner in crime might be the right choice! Reddit contributor, Zsolt Szekely a crafter of fine jewelry knows this and put forth this design on Reddit not too long ago. Fantastic idea! 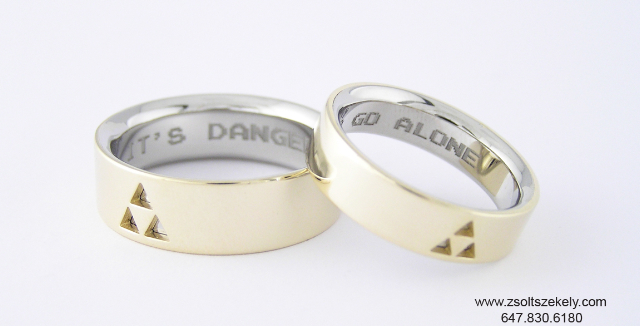 Zelda Wedding Bands | Geekologie.